Developer CoolStar, the mind behind the Electra iOS 11 jailbreak, has provided more information suggesting he will release a Cydia update sooner rather than later. In the past few months, the iOS jailbreak community has made an incredible amount of progress towards an unlocked phone that gives users more control over their devices. With news of Ian Beer’s exploit, modern Apple operating systems were split wide open and we soon saw the Electra iOS 11 jailbreak that afforded much more flexibility to phones. However, so far we haven’t seen a Cydia update implemented in the Electra iOS 11 jailbreak. Cydia allows for easier jailbreaking and more convenient operating of the phone after it’s unlocked, but so far it hasn’t been updated to support the more recent systems. 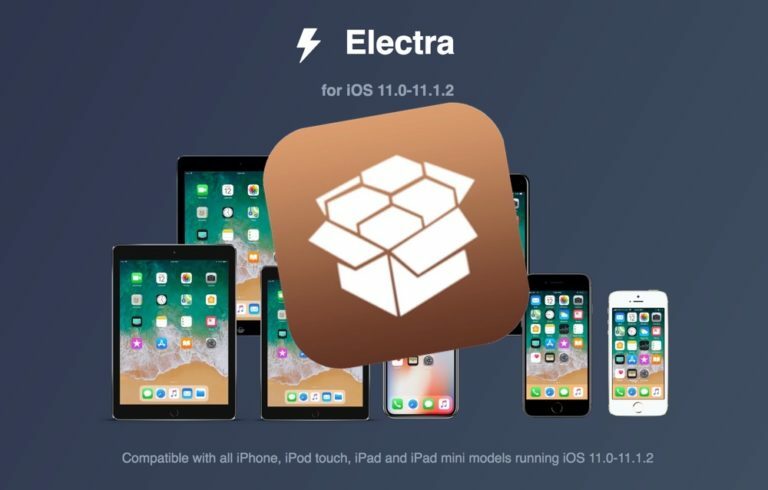 CoolStar, the developer behind the Electra iOS 11 jailbreak, has announced that we’ll soon see a Cydia update that supports the Electra software. Earlier this week, when CoolStar made the initial announcement regarding the Cydia update for the Electra iOS 11 jailbreak, he was missing three important Cydia dependencies that would allow the new update to feature Cydia’s functionality. Earlier today, the developer gave an important update confirming that two of the three required dependencies had been put in place due to Jay Walker and NitoTV, who had previously worked on Apple TV. The second announcement that was tweeted out just a few hours later confirmed that the GPG dependency had also been solved using the expertise of the same people. The ability to implement these two new repositories brings the team one step closer to bringing a Cydia update to the Electra iOS 11 jailbreak. At this current point, CoolStar, Jay Walker, and NitoTV only have APT to go in order to release a new version of Electra featuring this new functionality. This news is especially significant, because it will represent the first time that a Cydia update has hit iOS 11. This also positions Electra as the go-to iOS 11 jailbreak as it will be the only package that includes the functionality provided by the enhanced capabilities of Cydia. Saurik, the developer behind Cydia, is currently working on an update for iOS 11, but it seems like progress is moving a lot slower than the work being accomplished by CoolStar and team. The culmination of CoolStar’s work on both the Electra iOS update and the Cydia update will make it the gold-standard for jailbreaking iOS 11.x.x. At this point, it’s just a matter of waiting for the eventual understanding of how to implement APT, but considering the rapid speed with which the dream team developed a method for DPKG and GPG, it likely won’t be too long till we see the full release. While finally receiving the full Electra iOS 11 jailbreak with Cydia functionality will pretty much fully unlock iOS, the fact remains that with each generation of system updates it’s taking a good while longer to finally crack the software. A lower demand for jailbreaks combined with beefed up security on Apple’s part makes it difficult for jailbreakers to develop software in a timely manner, and the reward for doing so is much lower. A few months back, the main Cydia repository, ModMyi, shut down due to the increasing costs of hosting their site as well as decreased profits due to the lower amount of people using jailbreaks. One of the main draws behind jailbreaking the iPhone was to get access to new features, and as Apple has rounded out their operating system to provide a generally positive experience, less people see the need to fully unlock their phones. The jailbreaking community will never die, as manufacturers – and especially Apple – will likely never fully unlock their phone. As long as there are people who want full control over their devices, we’ll likely see jailbreaks for each operating system, albeit more slowly. With iOS 12 likely on the horizon, the Electra iOS 11 jailbreak comes near the end of the operating system’s lifecycle. Let’s hope that with iOS 12 we see some quick results.